The British public want to buy more British food but not at an increased cost, with research showing even a slight price rise will show them ditch home-grown for imported. The latest data suggests that even a relatively small increase of just ten per cent could result in 30 per cent of shoppers opting for a lower-priced import. That’s according to the latest Consumer Focus report from AHDB which shows that maintaining price competitiveness will be key for the UK agricultural sector in a post-Brexit world. The new findings also show that to-date there is little to suggest a wave of patriotism has helped bolster sales of all things British since the EU referendum and relying on ‘Britishness’ alone is not the answer. The report looks at consumer sentiment at home towards buying British and questions if there are any generational differences before exploring the role of price and quality in determining shopper decisions. Among the key findings in the report is that older shoppers say they try to buy British whenever they can. However, some 74 per cent of people over the age of 55 say increasing food prices are their biggest concern when it comes to financial circumstances. Therefore, any positive sentiment towards buying British will only count for so much as shoppers try to manage ever-tighter household budgets. AHDB Retail Insight Manager Sukhvinder Gill, who is the author of the report, said the findings show that the focus on price is likely to intensify going forward. “The UK shopper is price conscious and increasingly so, given the current economic climate which is putting pressure on household budgets,” he added. “Sentiment towards buying British remains fairly strong, but one should remember that this is against a backdrop of where, according to IGD, almost four-fifths of shoppers stated that rising living costs were of concern to them. The report also states that almost 70 per cent of shoppers want to see more British food in stores and almost three in four consumers would buy more British food if it demonstrated it was better value. A total of 78 per cent of shoppers believe Britain needs to be more self-sufficient in food and not rely on imports so much. But UK self-sufficiency has been declining for the past 30 years and can not be reversed quickly, according to a recent House of Lords Committee report. In 2014, then-NFU President Meurig Raymond said Britain would run out of food if it relied only on home-grown produce. Findings also reveal that younger shoppers are less likely to find ‘Britishness’ compelling as a driver of purchase – highlighting the need for industry to look at how best to sell ‘Brand Britain’ to younger consumers. Younger generations were more likely to base their buying decisions on better quality, with health being a top priority. Convenience and time-saving is also important to this age group. AHDB’s Chief Communications and Market Development Officer Christine Watts said the report's evidence to-date serves only to highlight the uncertainty of what might happen in the future. “But understanding the importance of British and locally produced goods to different segments of domestic consumers following the EU referendum is key to identifying the opportunities for the food industry,” Ms Watts said. “In a post-Brexit world we can see that simply featuring the Union flag on products is not enough and so industry needs to demonstrate the other attributes they provide to meet consumer requirements around quality, provenance, supporting local farming and so forth. The report follows the NFU revealing its vision for British farmers to become the number one supplier of choice to the UK market. It says British people should be able to enjoy more sustainable, quality British food at a range of different prices that suit all incomes. 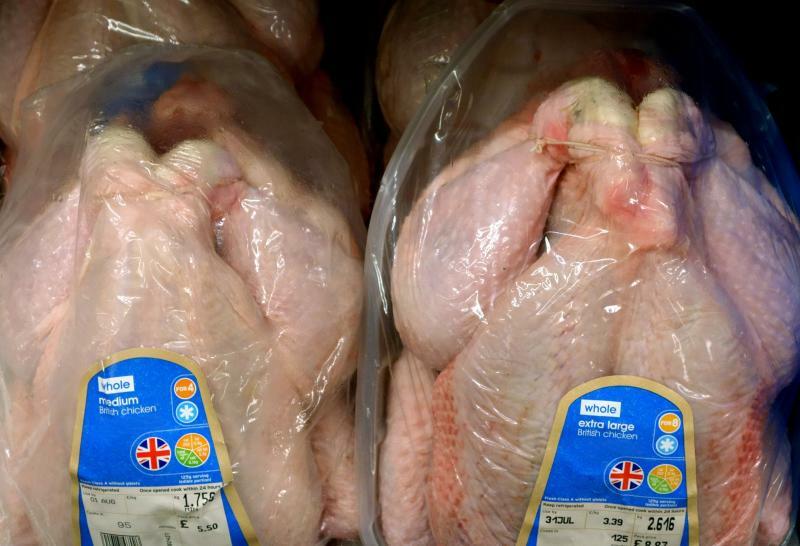 The farming union suggests public run services such as schools and the NHS should be “wherever possible, sourcing British assured ingredients”, except for products unable to grow in the UK.